All gemstones have one thing in common; they originate from hot magma, of which the inside of earth is composed. In astrology, Gemstones are often prescribed to increase the beneficial aspects of the planets and to reduce the bad effects of the melefic planets. Stones are generally prescribed for the planets which are good in our horoscope but have remained weak. The corresponding stone for that planet increase the power of that particular planet and that planet becomes strong and it starts giving good results. Gems affect the subtle energy field, which emanates from every living thing, where our energetic and emotional habits, through patterns, belief system and so on reside. The energy pattern of a gem directly affect’s ones emotional and mental energies and over a period of time this promotes long lasting changes. Know your Lucky Gem (s) based on your birth chart / Horoscope. This service also require your date , time and place of birth . Know your Lucky stone based on your natal chart (Birth chart). The Gems prescribed won’t change your destiny but would make you stronger to face the adversities if it is destined for you. In good times it even enhance your peace, pleasure, prosperity and success. Gem Recommendation would be send via email within next 48 hours of booking. 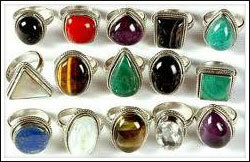 All gemstones have one thing in common; they originate from hot magma, of which the inside of earth is composed. Thousands of years cooling, gradual movement and displacement have formed stones, rocks and even high mountains. The continuous process of geologic change causes rocks and minerals of various kinds to come into being. They are formed from dust, sand, chemical substances and invisible acids that have dissolved in water. From the very infancy of human race, gemstones have exercised a powerful fascination. 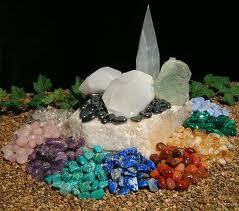 The therapeutic use of gems is not a new or alternative healing method. The art of healing with stones is thousands of years old. Evidence that gemstones were used to heal disease can be found from the most ancient civilizations. They were also considered to have protective and talismanic properties and to keep the evil spirits away. Shamans and medicine men harnessed the power of crystals in ceremonies and rituals. This ancient knowledge has been passed down top our day. The earliest reports of gems healing properties date as far back as the fourth millennium before Christ. They can be found in Sumerian writings and the transcriptions from Indian Vedic texts. In the Vedic tradition naturopathic medicine was known as Ayurveda, word that derives from Sanskrit “ayur” meaning life and “veda” meaning wisdom. Ayurveda describes in detail how to prepare elixirs, pastes and powders made from gemstones. Doctors in India would place cloured gemstones on the painful areas of their patients’ bodies and, to enhance their healing power, use them as channels for the light and warmth of the sun. Knowledge of these ancient practices had for a time been all but lost, but today it again forms part of the medical curriculum in Indian Universities. In the first Chinese medical book , written 5000 years ago by Shen Nung, the Red Emperor, can be found detailed descriptions of gemstones and their influence on the human body. From the earliest times, people in every culture have sought a way of connecting with the stars and discerning the effect they have on their destinies. According to astrological teachings the sign of the zodiac under which an individual is born has a great influence on his life, his soul, his character and his general health. Each sign has its own characteristic qualities; each corresponds to a specific area of the body and accounts for its strength or weakness. Particularly if one suffers from chronic ailments, one should look for gemstones that not only address symptoms, but also serve to support one’s basic personality type and counteract its weakness.